I find buying for the male species so hard sometimes! They are so fussy and never give any hints as to what to buy! Having said that I have always bought great gifts for Andy in the past. Here I have put together a little gift guide for the designer man in your life. 1. Pakerson Leather Oxford Shoes £127.05 - I love these Italian leather shoes! They are also available in a range of other colours. Great for mixing and matching with outfits. 2. Edwin Jagger Shaving Brush £37.00 - This is perfect for a man who is on the go all the time. Is he away for business, work away or do you like to get away together. This travel shaving brush is a must have for his travel bag. 3. Nespresso U Coffee Machine £119.95 - I don't know what it is with men and their coffee but they much prefer it out of a coffee machine instead of instant. This coffee machine makes your coffee in just 25 seconds! Give your man an amazing gift with this coffee machine! He will love you forever! 4. Ipad Mini 16gb £269.00 - No need to give this beauty an introduction, every man would love one of these! 5. Silver Cufflinks £20.00 - A man can never have too many cufflinks! This set is from Fencheye, I have never heard of this brand before but will have to purchase in the future as they also have a fantastic range of designer men suits UK shipping available too. Is your man easy to shop for? Keep any eye out for some more gift guides coming soon! working hard for his web site, since here every information is quality based information. Now this is right up Rovi's street :) minus the coffee he doesn't drink it but I wouldn't mind one for myself - watch this space. Thanks for finally talking about > "The Manly Gift Guide for the Designer Man" < Liked it! 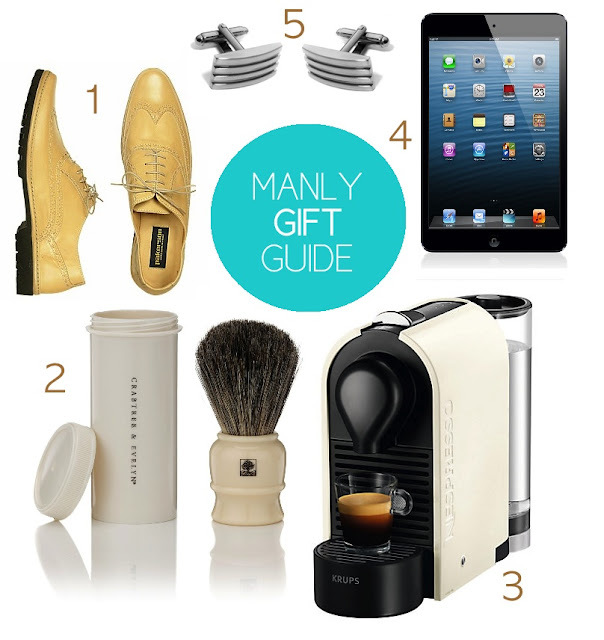 Thanks for sharing the manly gift guide for the designer man.